The newest peeling treatment of Guinot is an effective solution to reduce the signs of aging, brighten brown spots and revitalize pale skin. It reincorces the epidermis' structure, decreases the depth of wrinkles, skin becomes smoother and firmer. The treatment improves the in-depth hydration, your skin gets refreshed and glowing, pigment discoloration becomes lighter. It renews skin by dissolving bonds between skin cells using plant acids. The treatment nourishes and regenerates cells in the deeper layers of skin as well, and restores the skin's barrier. Hydra pH treatment is recommended for all skin type. This facial treatment is recommended for sensitive skin, as it removes dead skin cells more gently than Hydra pH treatment. In this case skin is renewed by mechanical peeling, when tiny particles polish the skin and gradually remove dead skin cells. Treatment lasts in both cases for 45 minutes. After the treatment your skin breathes again, it gets firmer and looks younger. Brown spots and wrinkles diminish, skin regains its natural glow. 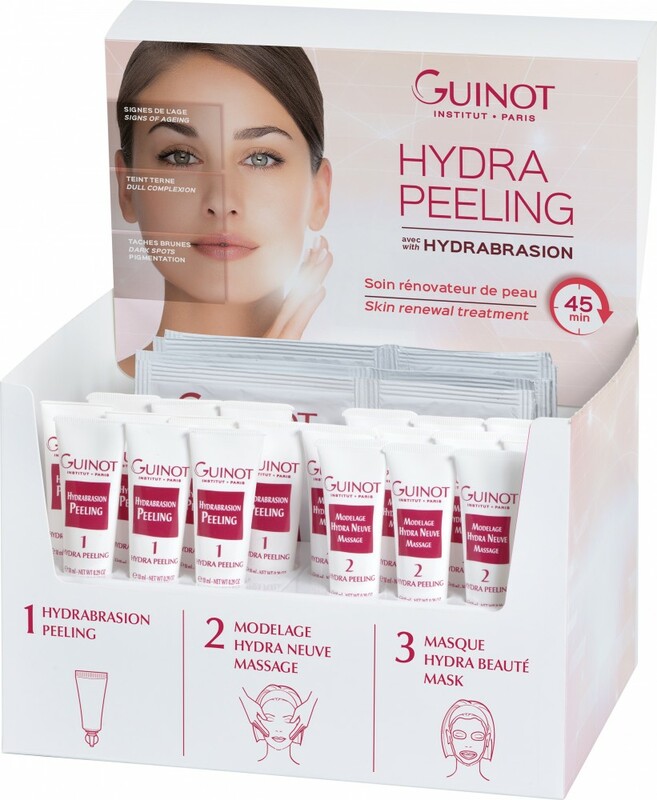 Hydra Peeling treatment can be combined with Hydradermie Lift treatment to improve its firming effect. See the treatment prices here.